Friendship provides confidence, warmth in the cold waters of life. 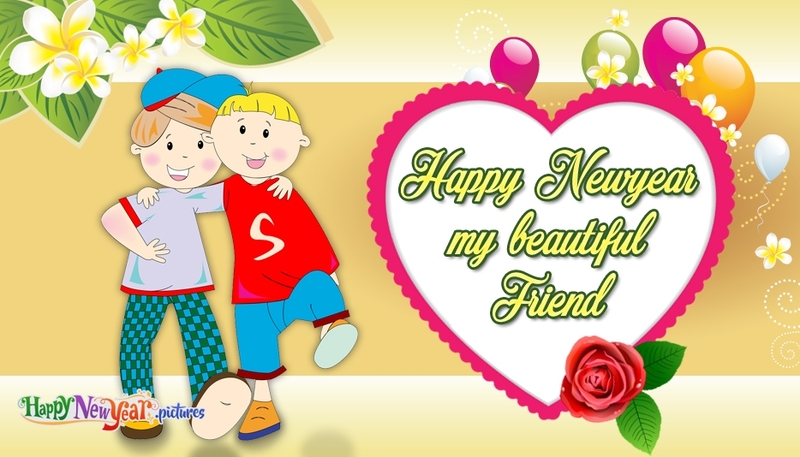 Wish your beautiful friend a happy new year by sending this beautiful card. The card shows the text "Happy New Year My Beautiful Friend" with two friends holding each other, balloons and flowers.